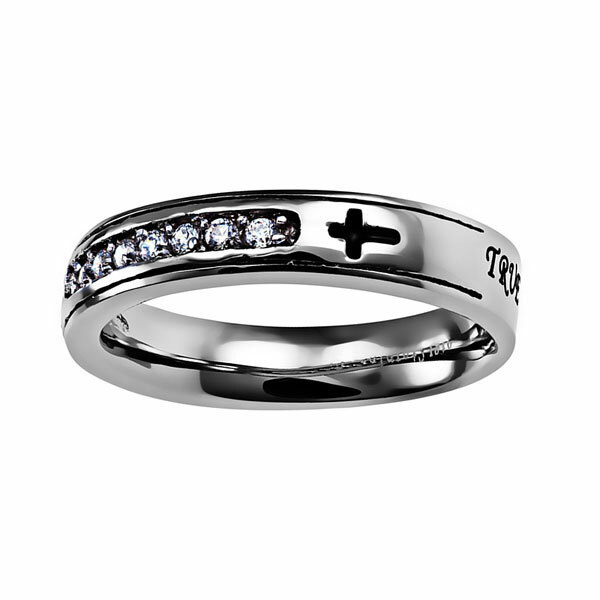 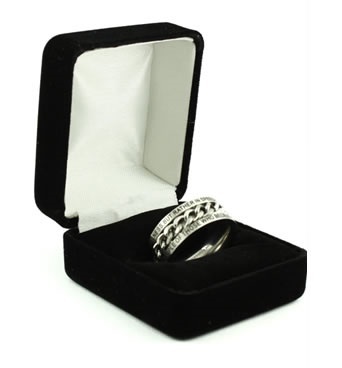 Channel set stones with engraved, enamel filled cross at each end in High polish stainless steel band. 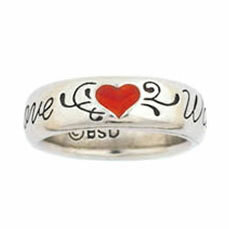 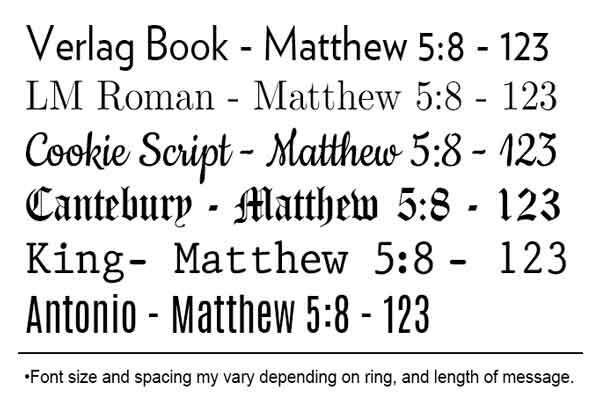 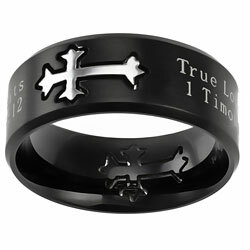 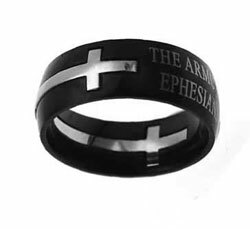 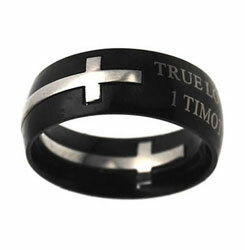 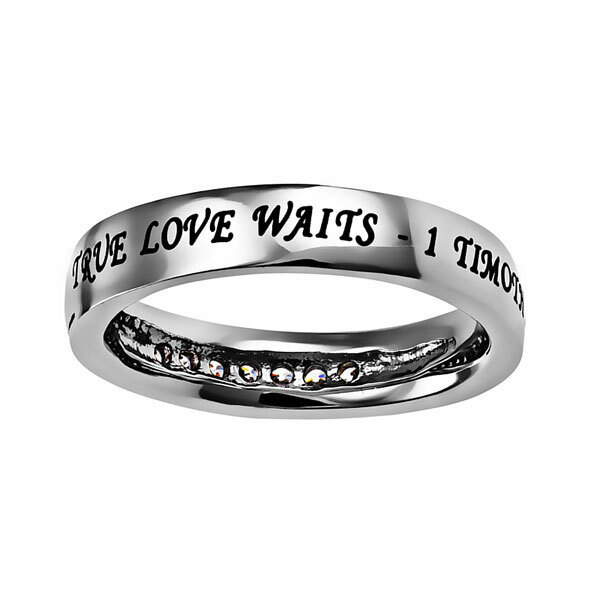 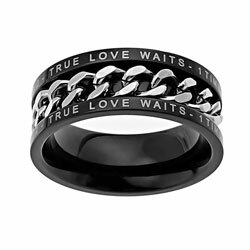 Additionally engraved enamel filled scripture wraps band reading “True Love Waits – 1 Timothy 4:12”. 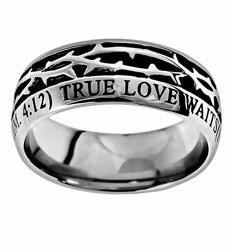 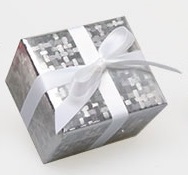 Add an inside engraving for only $9.99!